A video has popped up today that shows the iPhone 4S being put through its paces with a couple of benchmarks. There is also new feature revealed regarding Siri and we’ve discussed both after the jump! The news comes from MacRumors – a blog dedicated to covering the hottest rumors surrounding Apple – in a post where they discuss a video sourced from AppVV. Apparently, the folks over at AppVV got hold of the upcoming iPhone 4S before its official launch (which is still four days away) and they benchmarked it to compare its performance with other phones. The video they uploaded also shows a setting in Siri – iPhone 4S’ voice recognition feature – called Raise to Speak which we’ll talk about after the quote. It seems someone has gotten hold of an iPhone 4S ahead of launch. This video from AppVV.com shows off a new iPhone 4S with some early benchmarks (thanks BluC0la). It also shows the Siri settings interface which allows you to turn Siri On/Off, change Language Settings, Voice feedback, My Info and enable Raise to Speak. Besides this, about 57 seconds into the video, you can see a toggle called Raise to Speak under Settings > General > Siri. 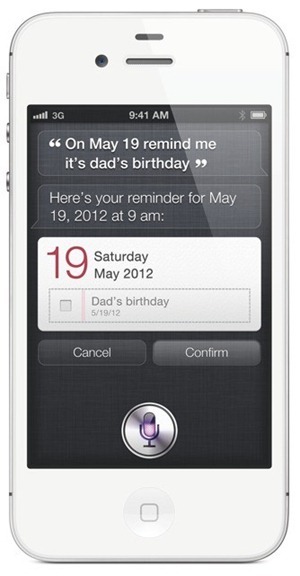 The Raise to Speak feature will allow you to talk to Siri by simply raising your iPhone 4S to your ear. This is why we here at Redmond Pie love Apple: the company’s attention to detail, their dedication to providing the best possible user-experience is simply peerless. For those of you who aren’t in the loop, the iPhone 4S was announced at Apple’s Let’s Talk iPhone event at Apple Town Hall in the company’s own campus in Cupertino, California. The phone comes with a powerful dual-core A5 chip that offers up to seven times the graphical performance and twice the general performance over the older A4 chip, a powerful 8 megapixel camera that can record video at Full HD 1080p and an amazing voice recognition feature called Siri which lets you use a variety of features on your iPhone 4S through voice. You can pre-order iPhone 4S if you’re interested.